I’ve been keeping bees for several years now and in this fascinating adventure it’s become clear to me that the bees know a little thing or two about project management and web development. No, I’m not heading for the obvious spider pun, but yes – I am saying we can all learn a thing or two from these smart little bugs! Here are a couple of thoughts from many years as a web developer (and frequently responsible for project management) and a handful more as a beekeeper. Surely you’ve seen honeycomb’s distinctive shape and the many scientific applications that have risen from the hexagon pattern. When you consider that a beeswax can hold many times its own weight in honey (22x even), it simply cannot be an accident that nature landed on this six sided design. Imagine in the blazing days and night of an Arizona summer, honey (which weighs about 12 pounds per gallon – more than water) is being held up by a substance you could easily dent with your fingernail. The thing is, the bees aren’t necessarily building hexagons. That’s right, the hexagonal shape is just the serendipitous result! All comb in the beehive is built to be a multi-purpose space. It’s almost like a city made of cubicles (except the bees really, really like their cubicles) and some are for the food, some are for the babies, etc. When there aren’t too many babies, you can use the extra rooms to store food, and then eat that food and raise some more babies in it. On and on it goes with the seasons. So it turns out the minimum amount of wax required to build one of these cells (these bee size cubicles) is basically a circle. So the bees build circles, and in the process of building the next one – then the next, etc – the hexagon formation happens automatically. As the circles stick together, the characteristic shape is created! This design is incredibly strong and most economical for the bees to produce. This is a common theme in a lot of the top web development products & projects as of late. Microservices, components, and containerization are examples. Be like the bees. Build excellent components that will fit together and form a larger product that is more than the sum of their parts. When you split up your projects into team-sized (or single developer sized) bites, you can assign them smartly and get improved quality assurance. The party responsible for that component – or bee cell – works on their own area start to finish, and the result becomes part of the bigger picture. On the project management side of things, you’ll be assigning responsibility clearly to each piece as well. Bees build from top to bottom, and clearly one bad cell on top would sabotage the whole comb. Your task then is to make sure that quality is built on quality. Or else that precious honey (or those precious babies) are going to come tumbling down at some point. Let me just take a little time to gush some more about bees. These bugs are just the coolest, I promise you. And perhaps the most relevant: The Alarm Pheromone. Which incidentally smells like bananas. Bees are brave little things, and they really don’t want to sting you. But if you are near their home and they’re a bit scared, they will not only sting you but mark you with this pheromone. And with that little move they have slated you for immediate attention from other guard bees. Stingers incoming! The web development technique that I want to highlight here is that when trouble arises, let’s have mark it and sound the alarm. Put it down in the application logs, immediately notify an admin, or stop a process if the necessary dependencies aren’t being met. I want the air to basically fill with the scent of bananas, and the alarm bells to sound. Not just one little whimper, we want to discover any potential issues as soon as they occur. When it comes to project management there is a real need to let issues or delays not pile up. Be like the bees, and if you sense trouble, let EVERYBODY know about it – especially those who can come to your aid. Believe it or not, bees are always thinking about expanding. It’s like they are little CEOs who are always pointing at rising sales projections. Just about every year, a colony of bees will try to split in two (or more) and “start a new franchise” as I jokingly call it. Why do they do this? Just when everything is peachy keen and their systems are in order, why does the Boss Lady (the Queen) fly off with a bunch of her subjects to start a new kingdom? The answer is that basically bees are what we call a “superorganism”, who have an enhanced collective intelligence, and this is how the superorganism reproduces. Yes there is bee on bee mating, but splitting into new colonies is the next step strategy in keeping the species going. When you build your web development projects always keep one ear to the ground for that thunder in the distance that is a good healthy traffic load. Create code that can scale whenever possible. Set things up for later expansion, whether that day ever comes or not. Assume, like the bees do, that your project will be a resounding success. The project management principle embedded here is to anticipate pitfalls before they happen, and to avoid bottlenecks. We need to create a plan that won’t get hamstrung by delays, avoidable tragedy, or technical hangups that only one or two team members can solve. There’s a little bit of a redundancy lesson in there as well. Just before the bees leave to “spin up their new location” with their queen, they’ll make not just one but often three or five potential new queens. For having bug brains they are not stupid creatures, I can tell you that. Even the bugs understand the importance of critical backups! As a last piece of inspiration to pass on to you from my bees, I want you to know that any given bee can take on every job in the hive during its lifetime. 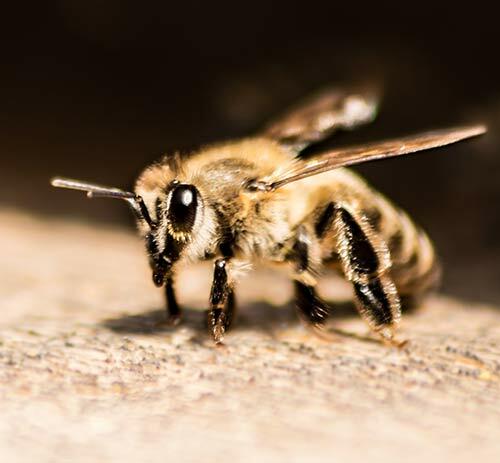 When it hatches into this world it immediately cleans its own cell (they’re nothing if not team players) and then starts its first role as House Bee or Attendant to the Queen Bee. Over its lifetime each bee will rotate through pretty much all the jobs in the colony, ending their lives by collecting nectar, pollen, and water from outside the hive. Admittedly the life of a bee is short, and they are dedicated workers, but I really want to underscore that point that any given bee can and will do anything. In the honeybee division of labor, there is nothing the ladies can’t do. Sometimes as women in web development we might feel like we’re the only one of our kind on a team or in a room. Interestingly, simply being “the odd one out” in a crowd can be mentally taxing no matter what gender you are – read on here on being the only man in the room! The important part is that there’s no reason you can’t be there doing it. You don’t have to be pigeonholed. You can be like the bees, and take on any job that needs to be done. Lauren Grey became addicted to bee keeping by accident when she had to remove a shed with a colony of bees living in its floorboards. She could not bring herself to euthanize them, and has been putting on the bee suit ever since. What she has learned from a box of bugs comes with her in every web development build and the project management involved. She builds custom websites in Scottsdale, AZ and if that’s something you could use some help with then give her a shout.